As the EU considers its renewable energy strategy this Fall, there has been a good deal of attention paid to biomass and bioenergy. Enviva often finds itself a target when people criticize bioenergy, and recent months have been no exception. Enviva believes just as strongly as our critics that we have a responsibility to protect forests, and our sourcing policies and practices reflect this. Today we’re publishing our most recent T&T data for January-June 2017 and we’d like to use this opportunity to make a few points — based on our data — that we believe illustrate our commitment to ensuring that biomass is a responsible alternative to coal. Enviva does not source from forests that will be converted to another use. 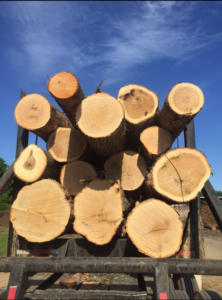 Enviva only sources from working forests where timber harvesting is the norm, and we simply do not purchase wood from tracts where the landowner does not intend to reforest: it’s our policy. Measured data from the US Forest Service back this up: in our supply regions (i.e. the area immediately around our mills where it is economically viable for us to purchase wood), there is more forest area now than there was when we opened our first US mill in 2011. 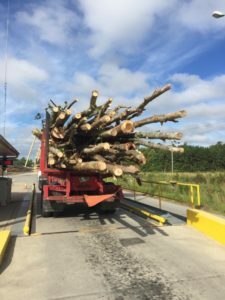 The fact that every year there is more forestland than there was the year before is a direct result of the robust market for forest products that exists in the Southeastern United States generally, and in our supply regions specifically. Enviva is a key participant in that market, and we know that working forests work. Enviva’s pellets are made from low-grade wood that is a byproduct of a traditional timber harvest. This can be hard to visualize, but foresters will tell you that from every forest harvest, there can be 5-6 “products” created. Those products are separated by the logger at the point of harvest, and getting that product separation right can mean the difference between making a profit or not for a given landowner. Some of the trees are big, round, sound and straight, and these are good for sawtimber, which is used to make long-lived products like furniture and housing construction materials. Some of the trees are twisted and gnarly, and not good for much except pulp or pellets. Those are the ones we use: the small, low-quality, irregular trees. Even the sawtimber trees generate some low-quality feedstock, because the branches have to be removed and you have to cut off a saw log below the actual top of the tree. The best way to show this is to invite each and every one of you out in to the woods to see for yourself, but a couple of photos (below) should illustrate the difference. The key thing to remember is that, on average, this low-quality material makes up about 30 percent of the volume from a given harvest.1 The rest of the wood – the other 70 percent of the volume — goes into the other regional forest products markets, like sawtimber, chip ’n saw or fluff pulp. High-quality saw-logs to be used for high-value products, destined for a sawmill. Low-quality wood for pellets, loaded onto a truck to Enviva. Enviva sources a very small proportion of our wood from hardwood forests. Enviva understands the ecological and cultural significance of bottomland hardwood forests, and has made a significant commitment to protect bottomlands via our robust sourcing processes, as well as our ongoing collaboration with our Bottomland Hardwoods Task Force and the Enviva Forest Conservation Fund. We seek to minimize our impact on potentially sensitive forests, and accordingly, we source only a very small amount of our wood from working bottomland hardwood forests. In addition, we purchase from bottomlands in very limited instances and only when we have determined that harvest is the best ecological outcome for that piece of land, consistent with our approach to all of our forest tracts. From January to June 2017, we sourced 6 percent of our feedstock from upland hardwood forests, and 3 percent from working bottomland hardwood forests. That 9 percent total is much less than the 80 percent our critics often accuse us of using. The key distinction our critics don’t make is between hardwood forests (i.e. forests where the dominant overstory trees are hardwoods) and hardwood species (which typically grow in as understory beneath a pine forest canopy). While more than half of our incoming feedstock (61 percent enterprise-wide from January to June 2017) did come from hardwood species, it’s important to note that the hardwood we procure, for the most part, grew up as the low-quality undergrowth in naturally-managed pine forests (i.e. forests where the dominant overstory trees are pine). Over a third of our wood (38 percent) was delivered from this mixed pine-hardwood forest type, primarily as hardwood. The distinction between hardwood forests and hardwood undergrowth in a pine forest is critical. Let me be absolutely clear, because this point is important: less than 10 percent of our incoming feedstock was sourced from hardwood forests, and only 3 percent was from working bottomlands – and on each of those bottomland tracts, our procurement team and sustainability foresters, along with the landowner, have determined that harvest is necessary to enable regeneration of the desired species. Enviva’s people value forest stewardship. We are proud to represent Enviva, and we know that the work we are doing benefits the environment. We are professionals who choose to work in the forest industry, by and large, because we value the forest and we understand the importance of stewardship. We are working every day to source wood in a way that is consistent with the value we place on the forest, and that does not mean we leave every acre of working forest alone. Instead, it demands that we make solid, science-based, responsible decisions about what we will and won’t purchase, and that we create and implement robust processes to ensure that our harvest practices embody the best in sustainable forest management. It also means providing conservation options (via our Enviva Forest Conservation Fund, for example) for landowners with sensitive tracts who might be having trouble making the economics of conservation pencil out. We have a great team at Enviva and we’re eager for you to learn a little more about our people and what they value. You don’t need to hear it from me — you can do so directly through these posts on Scott Poynton’s Forest Voices blog. We hope you enjoy. Our next blog entry will describe how we’ve improved our commitment to sustainability in bottomland hardwood systems through fact-based collaboration with some of our important conservation partners, including NGOs. 1 Note that tracts identified as “thinnings,” “site preparation,” or “understocked” (200 tracts, or 17 percent of the total) are excluded from summary calculations of percentage merchandising as these are not traditional timber harvests.